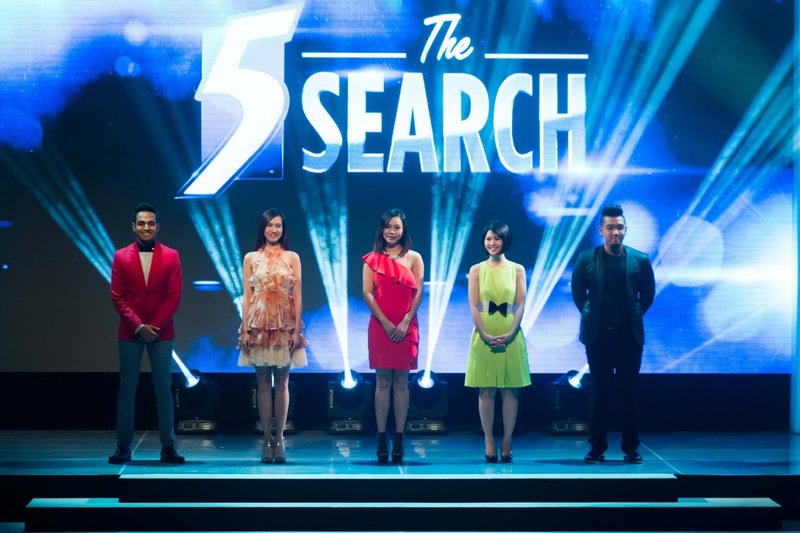 Recently, Raffles Press published an exclusive feature on RI alumnus and top 5 finalist of ‘The 5 Search’, Shrey Bhargava. Just two days later, we had the privilege of being invited to the MediaCorp Studios to watch the exciting Grand Finals of the show, which was broadcasted live on Channel 5. On set, we were given the opportunity to interview established hosting and acting personalities who have worked with Shrey in his ‘5 Search’ journey, some of his avid supporters, as well as Shrey himself. The show started off by treating the audience to an enthralling performance: the top five contestants were introduced alongside a medley of dance items, stunts and even a breathtaking fire show. The hyped-up atmosphere was bolstered by the exceptionally loud and enthusiastic live audience, which had begun chanting the names of the finalists long before the show even started, with audience members equipped with banners, lights, clappers and whistles. To prove their abilities in various genres of acting, all five finalists were put through a series of three challenges, namely drama, hosting and comedy segments, to be judged by a panel of experienced actors and directors. In the drama challenge, Shrey acted out a malicious character who faked his death on his birthday, allowing him to escape with his stepmother and a suitcase full of cash. Despite the rather convoluted and inconceivable plotline, Shrey pulled off his character naturally and impressed us with his ability to play on the intense emotions required of the drama. Similarly, his hosting of “Urban Escapes” was almost immaculate, impressing the panel of judges with his poise and fluency as he introduced to us the landscape of Pulau Ubin. Selena Tan commented that “I’m not sure if at 19 I would’ve been able to come across as polished as that.” Unfortunately, Bryan Wong refuted this by expressing his sentiments of Shrey’s performance being “too perfect” and a “wee bit too polished”. 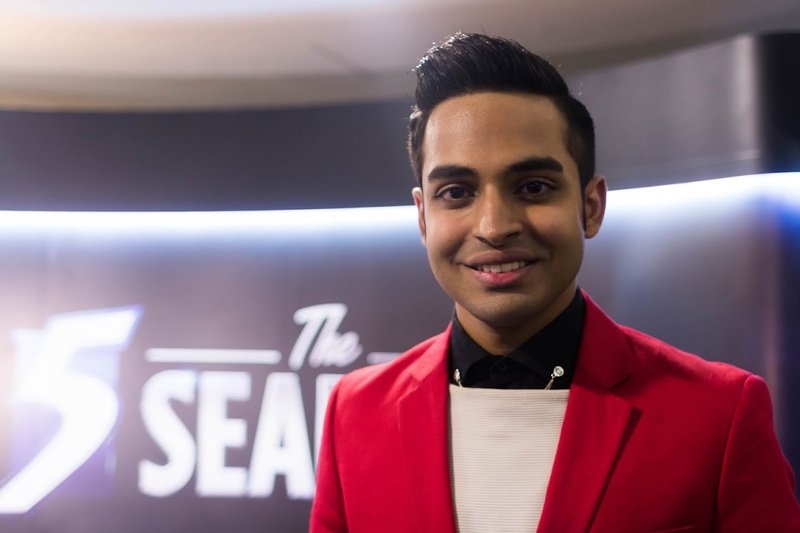 Perhaps Shrey’s biggest mistake was the artificial interview held with a Pulau Ubin local during his hosting segment, as he placed his arm around the uncle for the entire duration of the interview, causing the latter to appear rather uncomfortable in the video. Nonetheless, Shrey shone when put back into his niche — accents. During the comedy segment of the show, he played a stereotypical and sleazy Indian uncle trying to hit on a girl. While some of the other finalists similarly put up engaging and natural performances, Shrey’s portrayal of his character stood out to us in that it was extremely energetic and authentic, especially with his perfect wield of the accent and great comedic timing. Unsurprisingly, the judges credited his performance “very enjoyable” and commended Shrey on being a “good all-rounder”. Shrey also asserted that by being on the show he wished to make the point that “Raffles is not just about going into law (and medicine)… (it) can be all-rounded”. With the show now over, Shrey is aiming to gain admission into an overseas drama school, such as Juilliard School in New York, but is open to taking up other offers if they come. 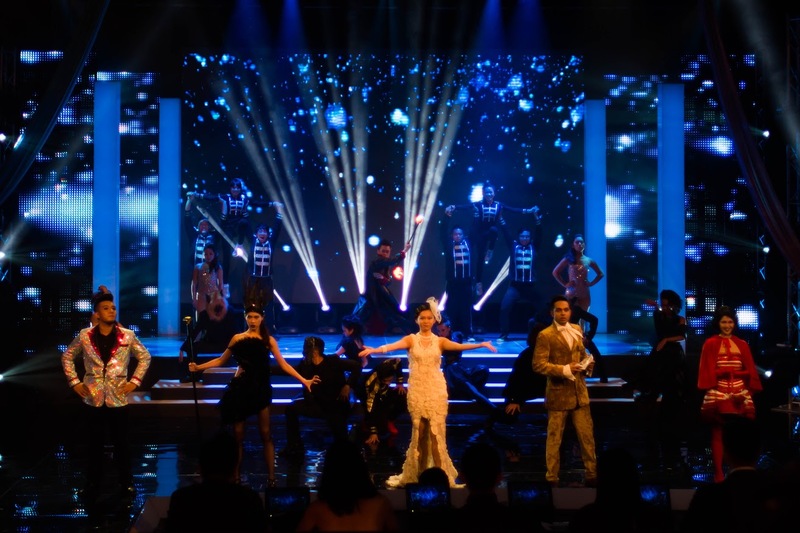 Also present at the live show to perform with the finalists during their comedy segments were ‘The Noose’ actors, Chua En Lai, Alaric Tay, Judee Tan, Michelle Chong and Suhaimi Yusof. Judee Tan, who Shrey worked with in the finals, commented that Shrey “takes directions from the directors very well”, while Alaric Tan was more effusive in his praise, claiming Shrey had been a “star throughout”. 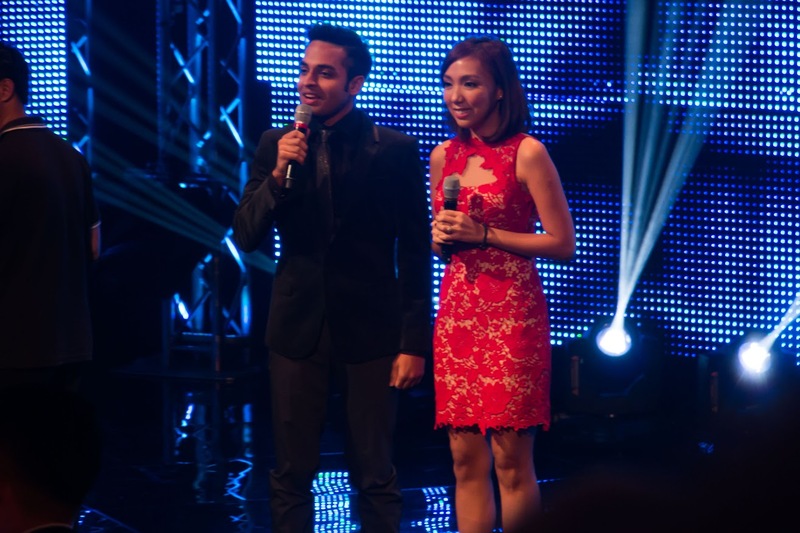 In fact, when questioned on who they would have chosen to win second place in the competition, both Alaric Tay and Judee Tan were in favour of Shrey. Chua En Lai revealed to us in a humorous anecdote that while placing bets in the dressing room, he had actually placed his bet on Shrey to win, impressed by his confidence. As a little bonus, here are some exclusive soundbites we’ve obtained of ‘The Noose’ actors and actresses expressing their excitement to work with Osayang (Shrey’s Noose character) in the near future… but in character. Raffles Press would like to wish Shrey all the best, and we hope to see more of his work in the near future!